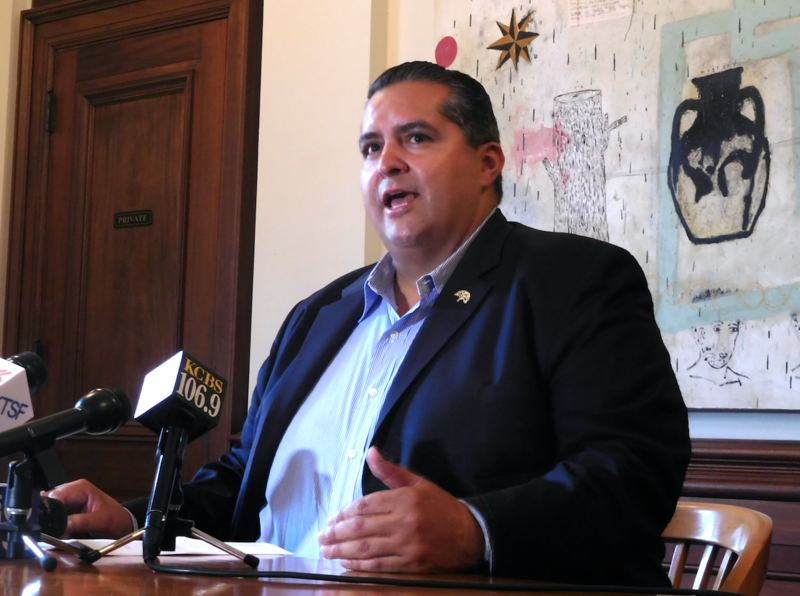 Councilmember Abel Guillen said two-thirds about two-thirds of the residents in Oakland's Chinatown and San Antonio neighborhoods he has spoken to about the Laney ballpark proposal prefer that it be built somewhere else. At a press conference this morning, Oakland Mayor Libby Schaaf called the A's plan to build their next ballpark adjacent to Laney College a "very exciting announcement." But she tempered her remarks with concerns about how the stadium would be a force for gentrification in the predominantly low-income and immigrant neighborhoods that surround Laney College. Schaaf said the A's are also aware of the displacement pressures a ballpark will have, but added that the team is committed to working with the city to protect long-term residents, small businesses, and the area's cultural assets. 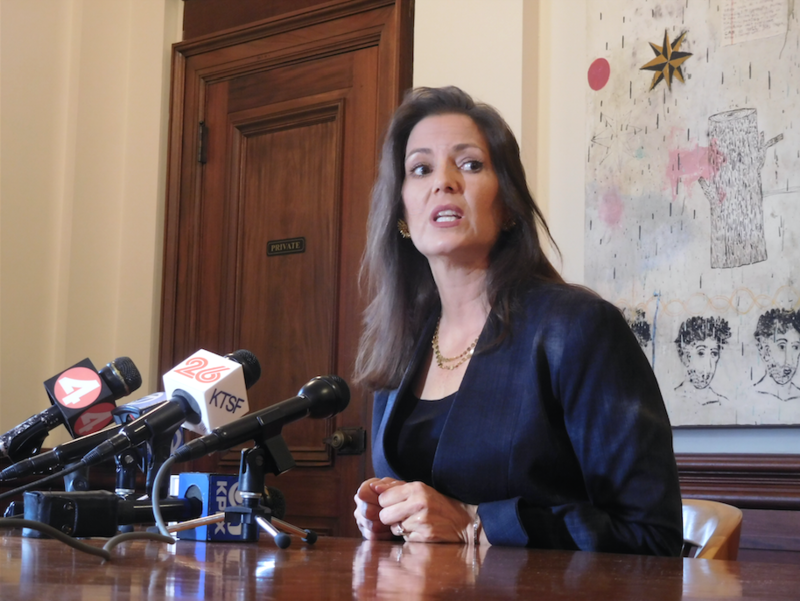 As to her preference, Schaaf said she had wanted the A's to build at other sites. Oakland Mayor Libby Schaaf told reporters this morning that she had preferred other sites besides Laney, but still called the proposal a "tremendous opportunity." "Part of why I preferred other sites," she said — referring to the Coliseum Area where the A's currently play, and Howard Terminal at the Port of Oakland — "is that there was less existing community to disrupt." She called the A's Laney announcement a tremendous opportunity but also a threat. Councilmember Abel Guillen said he also wanted the A's to pick the Coliseum Area for their new ballpark. He said that about two-thirds of the residents in Oakland's Chinatown and San Antonio neighborhoods he has spoken to about the Laney ballpark proposal also prefer that it be built somewhere else. Previously a Peralta Community College District Trustee, Guillen acknowledged that it will primarily be up to the school's board to determine whether the A's proposal gains final approval. But Guillen said he's already talking with the Oakland City Attorney's office to come up with legal tools to protect the existing neighborhood from what will be intense pressures, as land values increase, rents rise, and the character of the area is completely transformed. Guillen said one tool could be a moratorium on demolition permits issued on existing buildings near the ballpark site. Or, the city could require that all development proposals pass through a more rigorous approvals process, rather than allowing over-the-counter permits to be issued. "I'm an advocate for residents of the district," said Guillen, who called many of the neighborhood's current inhabitants "vulnerable" to the economic forces that a new ballpark would unleash. "Many don't know their legal rights," he said about renter protections. A's President Dave Kaval announced the team's plan to build at Laney yesterday in a letter sent to the Peralta Chancellor Jowell Laguerre. Laguerre wrote in a letter released yesterday that "no decision, no commitments and no deals have been made," and that the Peralta trustees will discuss the ballpark proposal when the board reconvenes in October. But numerous Laney College students, faculty, and staff, and activists from the surrounding neighborhoods have already declared opposition to the A's plan.